When someone is injured on the property of another, the owner or occupier may be liable for negligently maintaining their property and/or failing to warn others of various dangerous conditions that exist on the property. This is particularly true where the property owner has invited the injured person onto their property for a business purpose, such as in the case of a retail store and its shoppers. When patrons visit a business to shop, the business may be liable for unreasonably dangerous conditions on the property. “Slip and Fall” claims are one example, but there are other types of Premises Liability claims. An experienced attorney should review the circumstances of your injury as soon as practical to help you determine if you have a case. What Are the Different Types of Injury Claims When You Are on Someone Else’s’ Property? Another type of premises liability claim arises in situations involving amusement park injuries. Such injuries often caused by the amusement park owner or manager’s failure to properly maintain their rides or premises. Elevator accidents and electrocutions are two more examples where people may get injured due to the negligence of the premises owner or manager in failing to properly maintain the property. Hotels and motels also may be liable to their invited guests for injuries that occur on their premises as a result of poor maintenance or negligence. Water damage can cause ceilings to cave in or walls to collapse. Faulty fire alarms, fire extinguishers or negligence in failing to properly notify guests are also potential areas of exposure for a hotel and motel. Stairways and staircases also frequently form the basis of litigation. The lack of handrails or a lack of uniformity in the design or construction of the stairwell itself often serve as potential bases of liability. 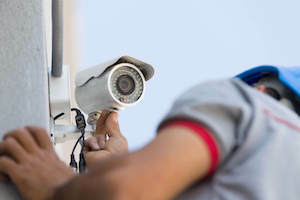 One of the most important factors in a premises liability cases is the level of knowledge the property owner had regarding the dangerous condition before the injury occurred. If it can be proven that the property owner knew or should have known about the dangerous condition but failed to either fix it or warn others about it, then liability can often exist. Please contact the experienced Atlanta premises liability attorneys at Law Offices of Slappey & Sadd, LLC at 404.255.6677 or toll free at 888.474.9616 for more information.